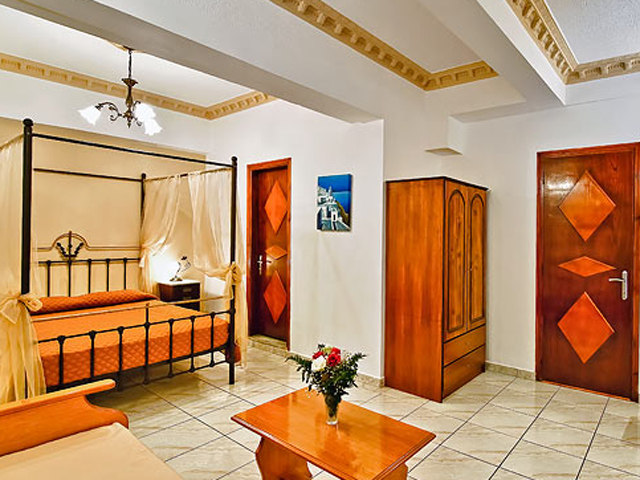 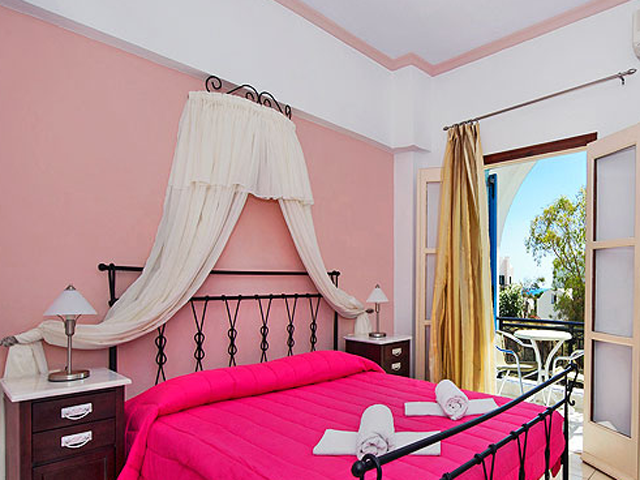 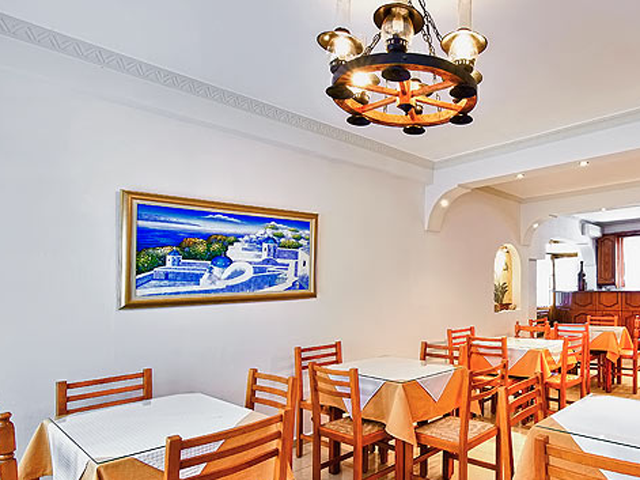 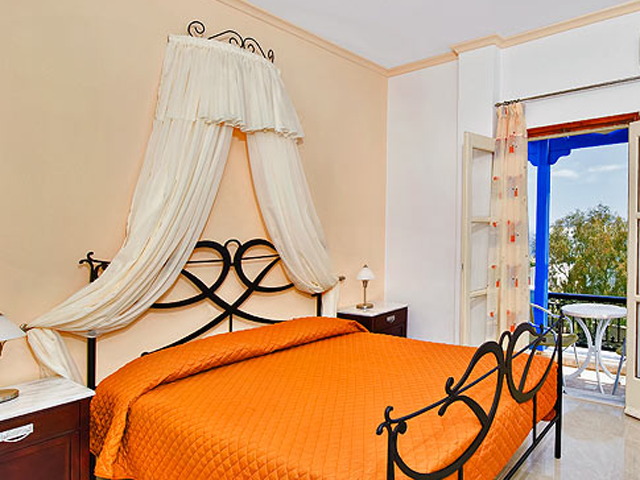 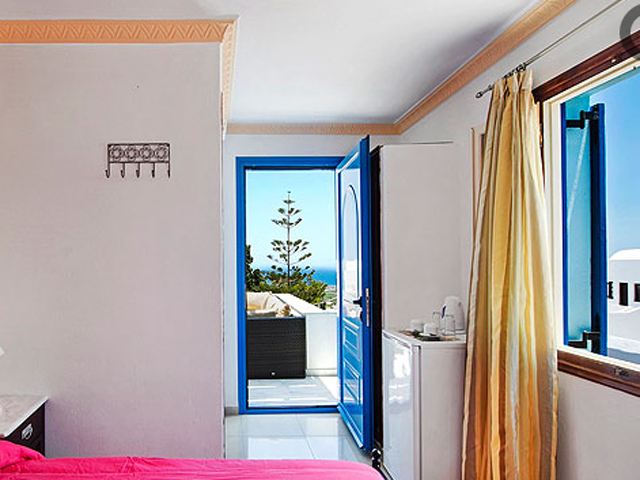 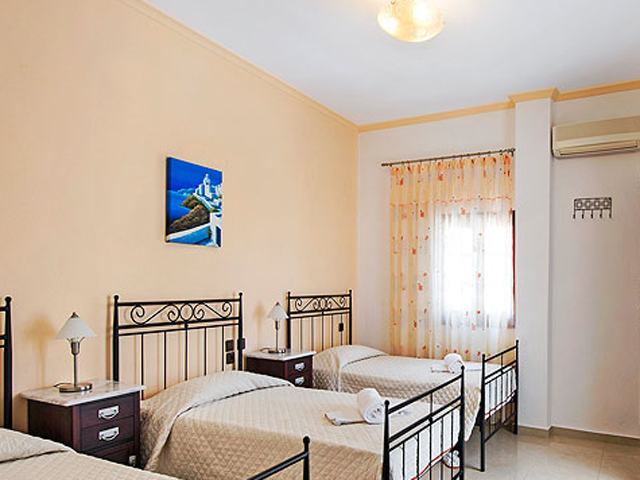 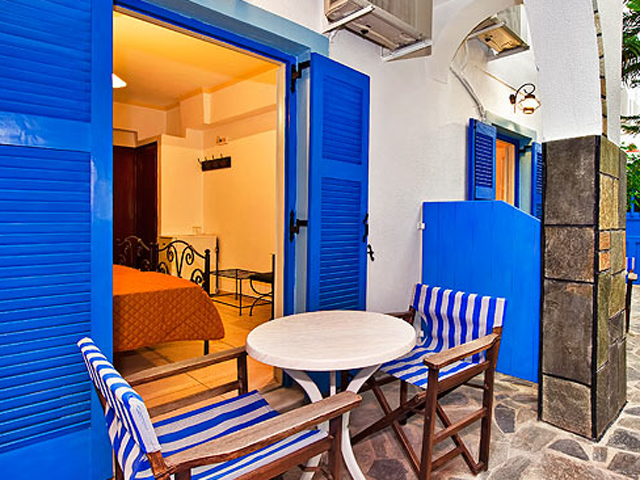 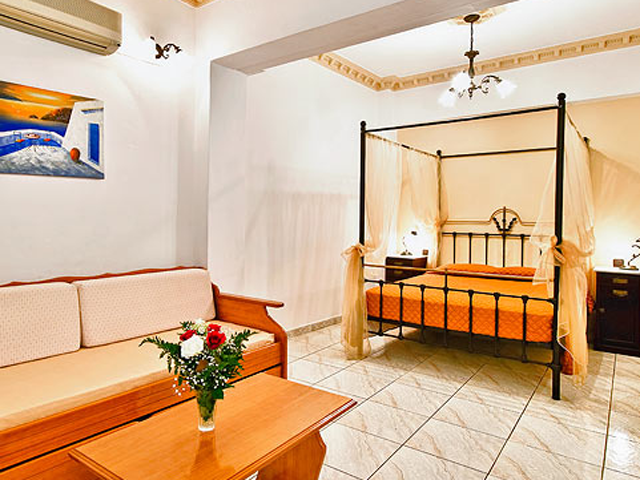 Open All Year... Our hotel is located near the central square of Fira and 150m from the center of Fira, the capital of Santorini and is connected with all the villages and beaches of the island. 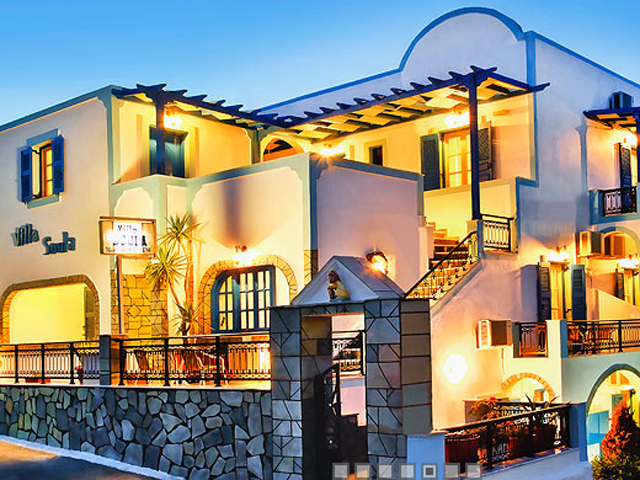 Transfer Service from / to the Town with the Hotel's Mini Bus. 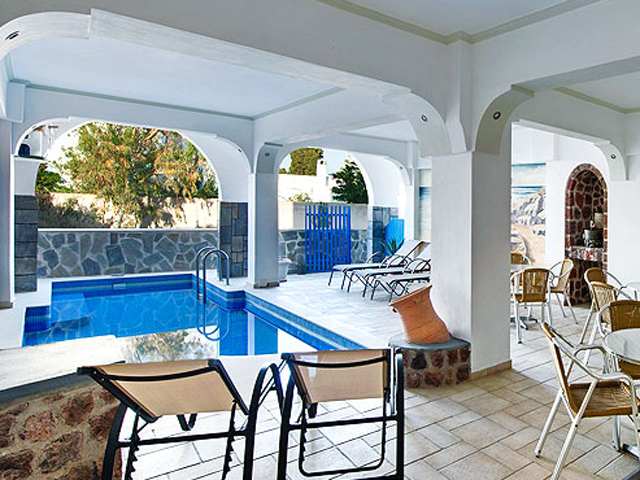 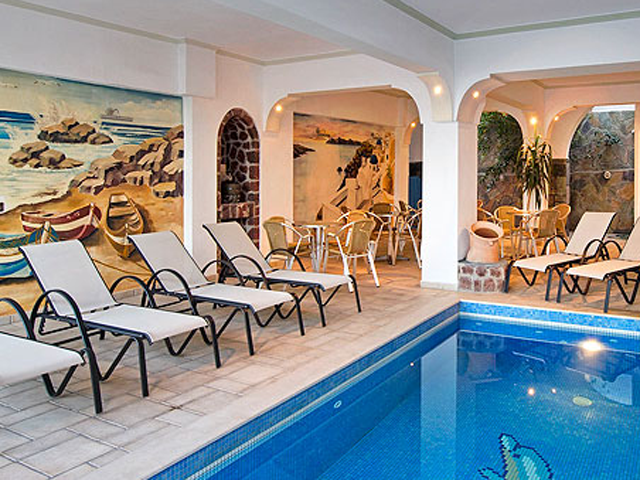 The friendly atmosphere and the perfect service promise unforgetable holidays ideal for all ages. 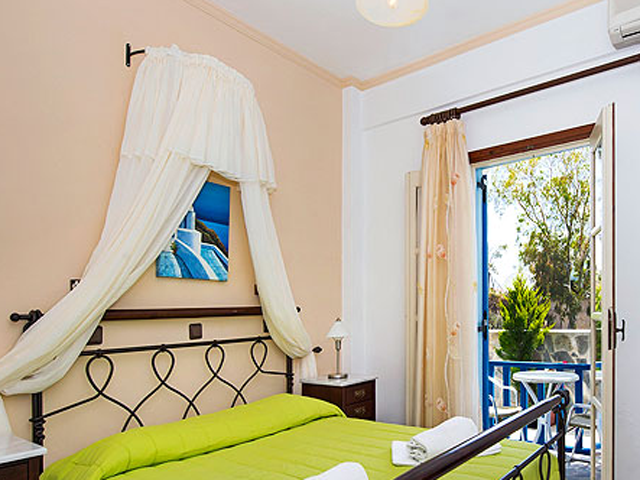 It is a Traditional Pension, with family atmosphere and all the comforts. 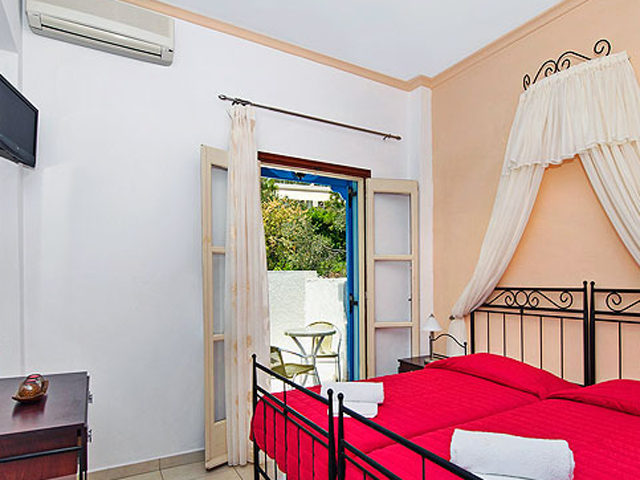 The 22 new-built Rooms (Doubles and Triples) of the Pension with a wonderful view, have Telephone, Balconies, Private Bathroom, Air Condition, Mini Refrigerator and Telephone. 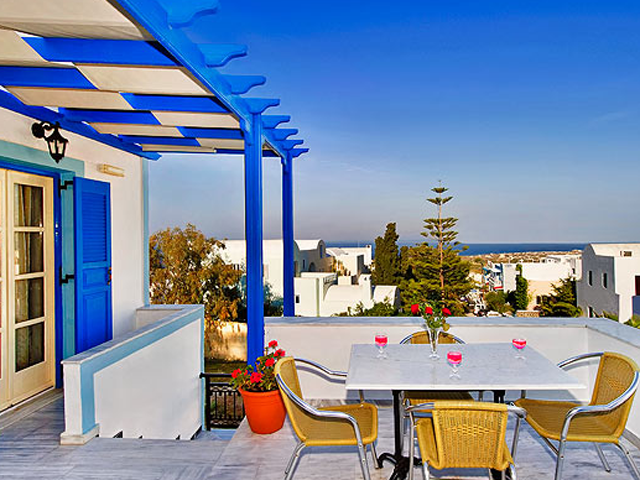 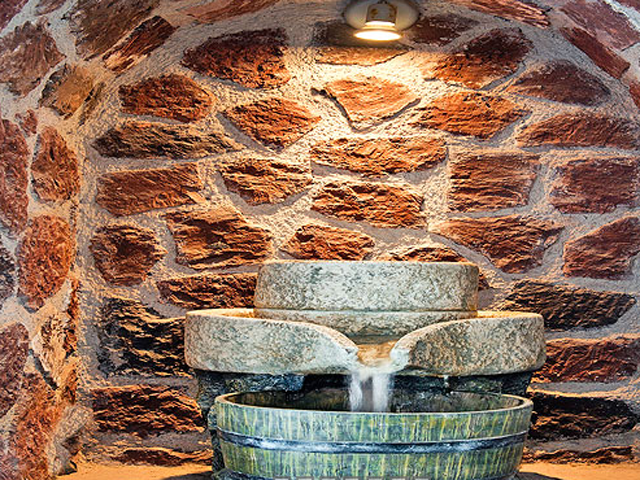 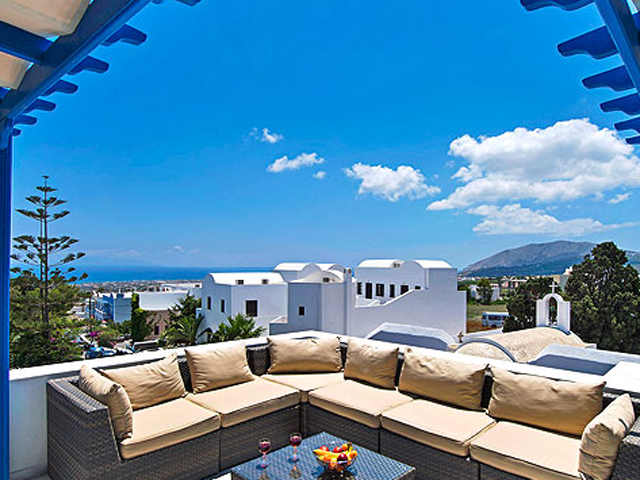 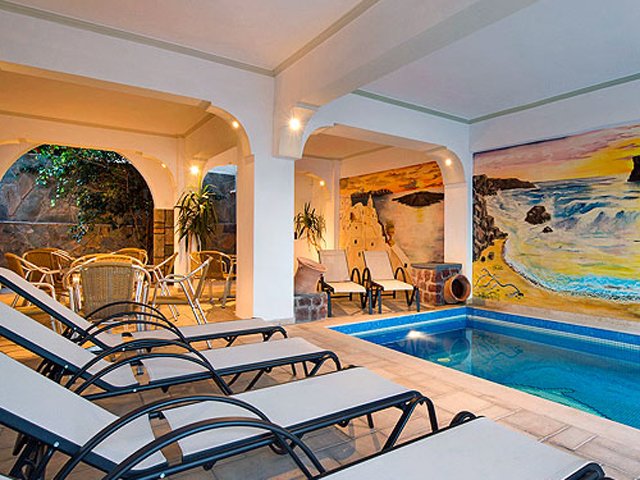 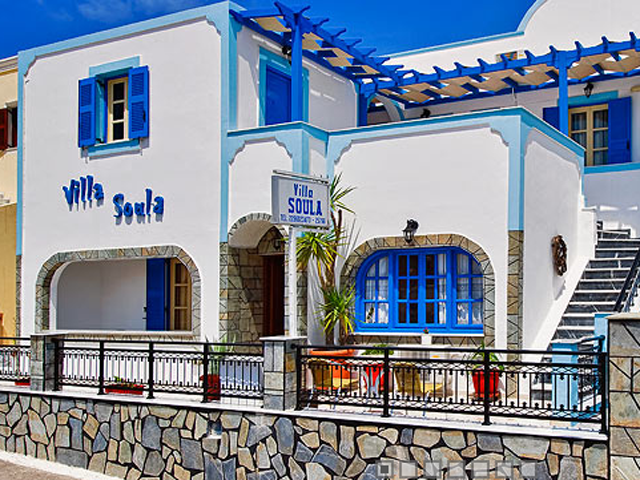 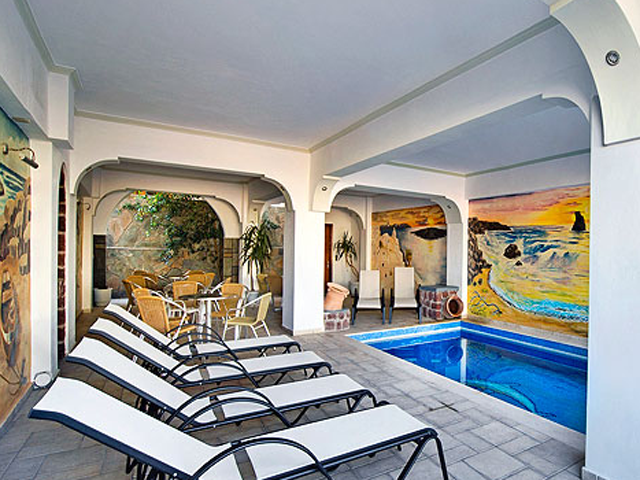 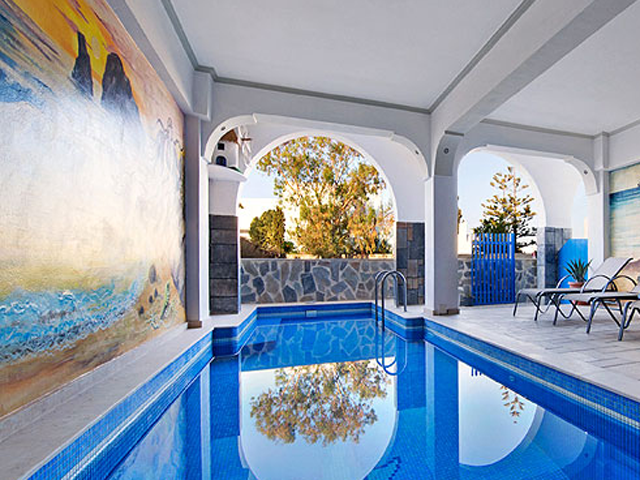 Villa Soula is located near the central square of Fira and 150 meters from the Center of Fira, the Capital of Santorini and is connected with all the villages and beaches of the island. 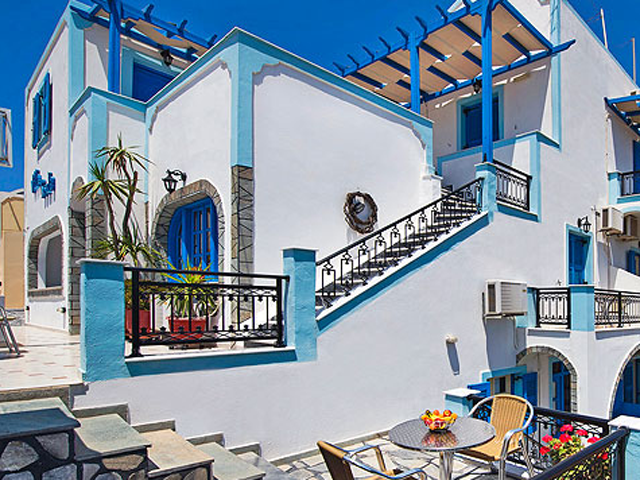 It has been built with care trying to combine the island hospitality and the traadition with modern comfort. 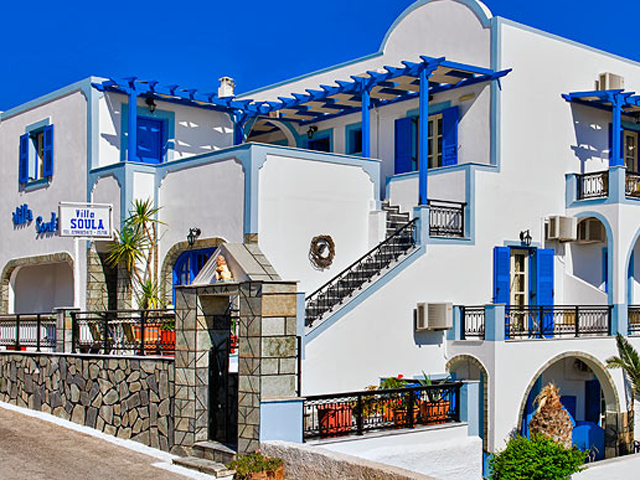 It was built in 1988 and renovated in 1993.